Fall is a seriously exciting time of the year for snow enthusiasts. People get obsessively anxious for the season to start, with constant reminders that snow is coming. Scattered ski film premieres and big bargain sales have been a part of the passage into winter that we’ve always experienced. 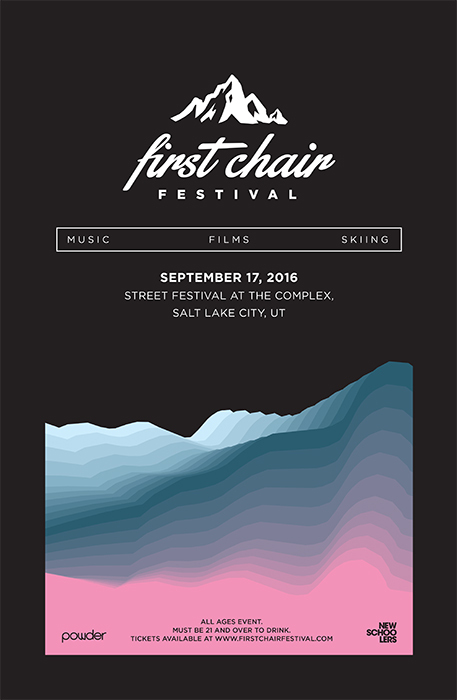 This fall it will be the time to bring the community together and have one big kick off to the ski season with the inaugural First Chair Festival, featuring ski film premieres, live music performances from national touring acts, a giant gear sale, and more! This nationally recognized festival will become a definitive point to mark the transition into our favorite time of year. This day long event gives everyone a chance to feel that the season is about to begin. For more information, check out www.firstchairfestival.com. All attendees who are 21 and over must present a valid form of ID in order to participate in the consumption of alcohol.